is one of Africa's most conspicuous insects. 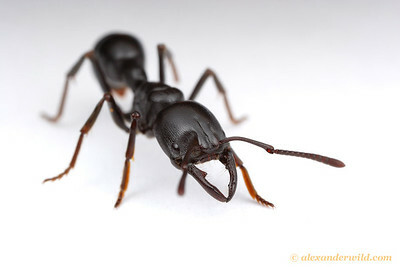 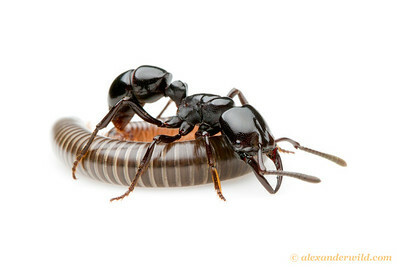 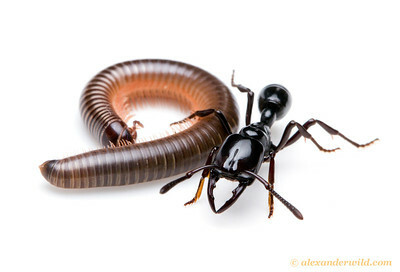 These glossy, intricately sculptured hunting ants are specialized predators of millipedes. 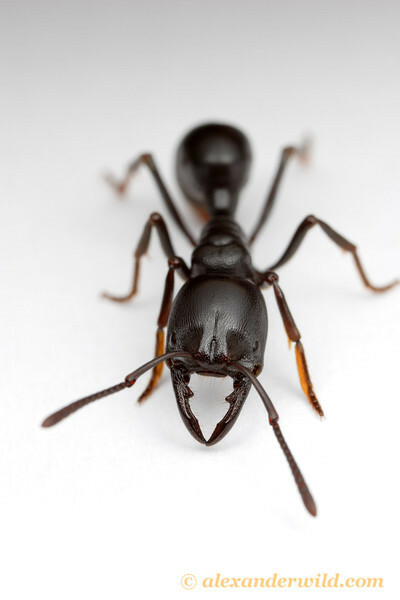 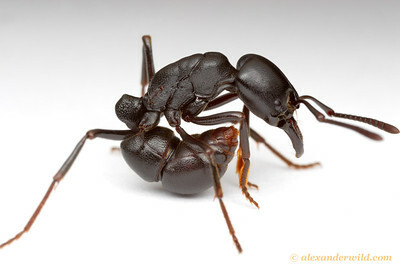 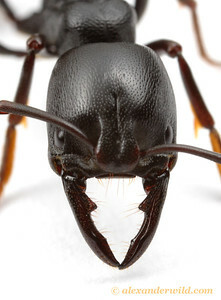 They are sometimes called "snapping ants" for the unique way they use their mandibles during prey capture. 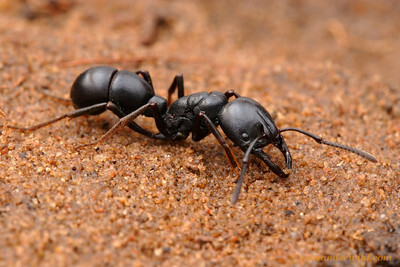 Colonies are small and typically nest in soil.